Announced today on the official team Twitter account, Andretti Autosport has confirmed a sixth entry for May 2018’s Indianapolis 500 by hiring former driver Carlos Muñoz. Muñoz, who turns 26 on January 2, raced full-time for Andretti Autosport from 2014 through 2016. Certainly excited to be back with Andretti after a sub-par season in 2017 with A.J. Foyt Racing, the Colombian driver finds himself in an ideal position reuniting with his former team at his career-best track. “I am very excited to be a part of Andretti Autosport again,” said Muñoz. “The team has been like family to me since day one, when I joined them five years ago to race Indy Lights. We have been so close to winning the Indy 500 – twice with the team – so I am especially excited to be back for that race and hopefully we will have a good result this year. Recognizing the opportunity to secure a prime one-off talent, Andretti Autosport team owner Michael Andretti jumped at the chance to re-align with the young Muñoz. 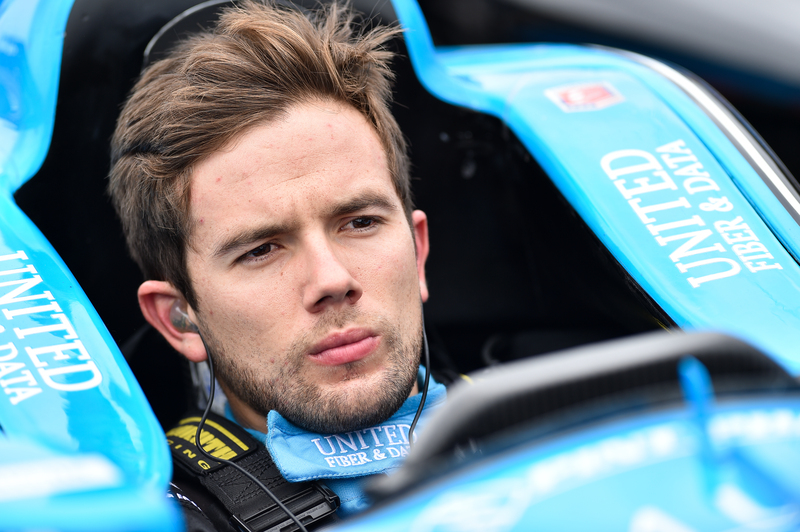 “We’re thrilled to have Carlos back in an Andretti car for the Indy 500,” Michael said. 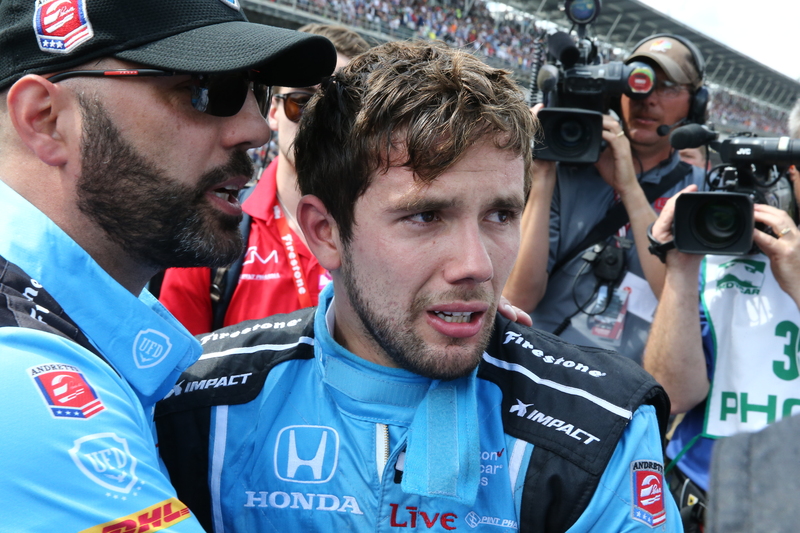 Munoz finished an emotional second place for Andretti Autosport in the 100th Indianapolis 500. As mentioned by Muñoz, he has finished runner-up twice in the Indianapolis 500 (2013 and 2016), as well as a career average finish of 8th place in the Greatest Spectacle in Racing. His talent at Indianapolis was on display this past May, as he muscled an inferior A.J. Foyt Racing machine to a 10th place finish despite being outmatched in car quality by the more powerful Honda package as well as most Chevrolet entries. After finishing 2nd at the 2013 Indianapolis 500 in his first career Verizon IndyCar Series race, Muñoz made one more start each with Andretti Autosport and Panther Racing that season. Carlos began three years of full-time driving for Andretti starting in 2014, amassing six podiums, one pole and a victory at Detroit in 2015. In 2017, Muñoz jumped ship to race for the legendary A.J. Foyt and his struggling IndyCar program. Appearing in 17 races, Muñoz would fail to lead a lap this past season and had a best finish of 7th at Long Beach. The Colombian driver and his no. 14 ABC Supply team performed it’s best on ovals, with Muñoz finishing in the top-10 on four out of the six oval races this past year. Muñoz will pilot the no. 29 Andretti Autosport entry, and this likely rounds out the team’s Indianapolis 500 stable of drivers. Full-timers Marco Andretti, Ryan Hunter-Reay, Alexander Rossi and Zach Veach will be paired with Muñoz and Stefan Wilson when the Month of May kicks off with the first Indianapolis 500 practice on May 14, 2018.